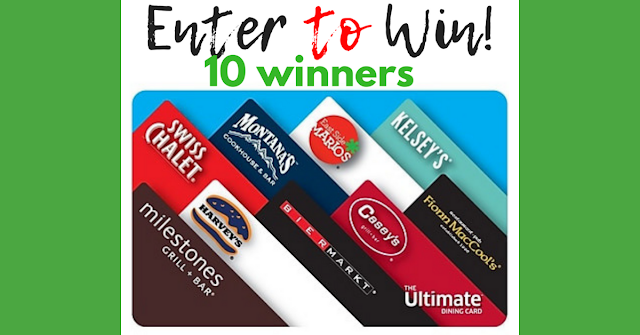 FREE Ultimate Dining Cards Being Given Away! Dining out around the holidays happens a lot more am I right!? Long days and planning at night grabbing some delicious take out happens too easy. Here is your chance to score 1 of 10 $50 Ultimate dining cards thanks to Swiss Chalet to save you a couple bucks! You are only allowed to enter this giveaway once during the promotion. Open to Canada but excludes Quebec. The gift card giveaway will be running until December 12, 2018.